Effective public relations is all about reaching the right people at the right time – creating a compelling story for your brand or organization and building strong relationships with key editors, reporters, producers and bloggers to help tell it. I can create a strategic public relations plan to help improve your brand’s awareness, promote your event/organization and drive business success. From basic media relations and press materials development to complete PR campaign strategy, planning and execution, I have the experience, knowledge and network to help your organization achieve its communications goals. I have worked in some of the top local PR and advertising agencies, as well as the non-profit and corporate sectors, and I hold a master’s degree in Media Communications/Public Relations from Webster University. I specialize in local media relations and have strong relationships in all facets of the St. Louis media including print, TV, radio and online. I work with local businesses and organizations large and small to get the media attention they need to further awareness of their brands. Writing has been my greatest passion for as long as I can remember and the one thing I have always wanted to do for a living. I work with businesses, nonprofits and agencies to write a wide range of marketing and PR materials including press releases, bios, newsletters, brochures, annual reports and blog content. I also work as a freelance journalist for a number of area media outlets including the St. Louis Post-Dispatch, DesignSTL, Town & Style, Missouri Life, STLParent.com and KDHX.org. If your organization has a message to convey, but you have trouble putting it into the right words, let me help tell your story through succinct, convincing copy. 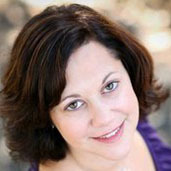 Public relations specialist and freelance writer with nearly 20 years experience. I work with organizations of all types and sizes to increase awareness of their brands through compelling storytelling, strong media relations and comprehensive PR campaigns. I also work as a freelance journalist for local and regional media outlets.